The Vedas are the oldest, yet ever new, scripture of mankind. They are at once a challenge and an inspiration; the challenge is because the grand truths they enshrine call for very deep meditation to realise them. The inspiration is from the supernal heights of knowledge and bliss of pure spirituality. Because of the difficulty in understanding their true import, most of the Vedic Mantras are far from popular. They are not common coin. But certain Vedic passages stand out, compelling attention by the majesty of their diction the sweetness of their sound. 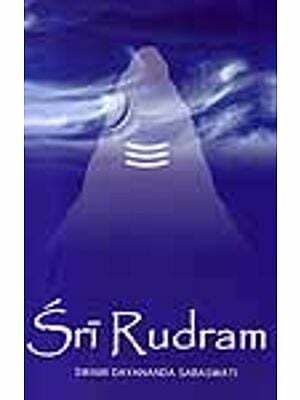 Sri Rudram which occurs in the fourth Kanda of the Taittirya samhita in the yajur Veda tops the list. 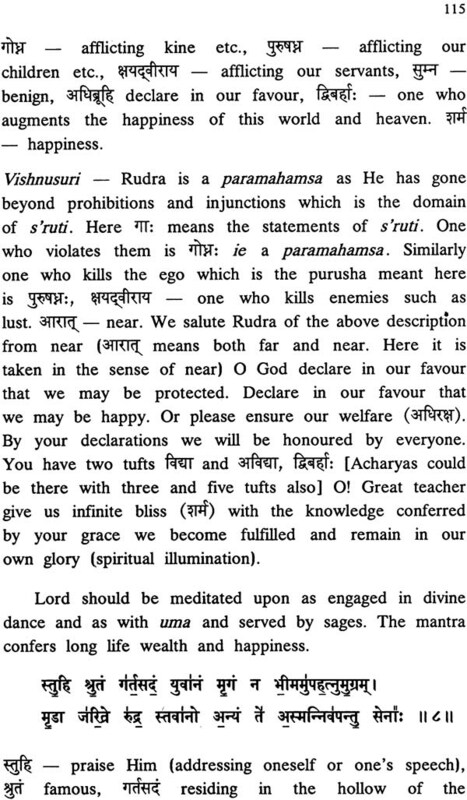 This Vedic homage to Lord Rudra is remarkable not only for its phonetic grandeur but also for its universality of approach is not a sectarian deity, but the Supreme Being who is omnipresent and manifests Himself in a myriad forms for the sake of the diverse spiritual aspirants. Hence this text is also known as Satarudriyam, i.e. Rudra in hundreds of forms. Upanishad being called a mystery (Rahasya), Rudra Upanishad is another befitting appellation for this text. 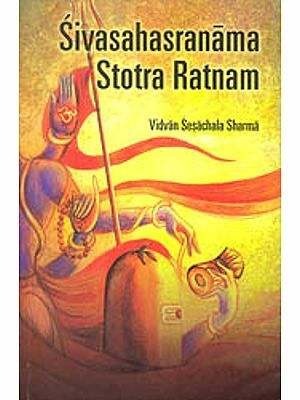 Rudram reveals at its centre the great Panchakshari, the famous five – lettered Mantra, 'Namassivaya' No wonder Sri Rudram is used by the devout in daily puja, japa, homa and other religious rituals. Its daily recital is said to confer on the aspirant all blessisngs, material and spiritual. It is said, if Rudra is worshipped, all the other deities also are propitiated. Saluting the Lord with the obeisance 'Namaha,' fulfils all one's aspirations. To worship a deity, the sadhaka must have a vivid picture of the deity's appearance. Sri Rudram, therefore, gives a long list of the details of Rudra's therefore gives a long list of the details of Rudra's appearance. His body pervades the entire universe. It shines in immaculate white covered by the holy ashes. The snakes dangling as charming ornament, the blue – throat recalling the great service the Lord rendered at the churning of the Milk – ocean for nectar, the matted locks adorned by the crescent moon, the mighty bow in hand, the triple eyes, the rudraksha beasds, the vibrant dancing pose – all help in meditating on the form of the formless Lord. He is the Sun and the Moon and the eternal Fire or rather he makes all these shine by his light. Being the supreme Yogi he is sameness (samatva) personified, so we find Him described not only as the Lord of everything good, but also as the Lord of thieves of different types. Also as carpenter, pot – maker, hunter and angler. None is excluded from the shower of His grace. He is Asutosha, readily pleased. Any wild flower will do for worshipping Him. The first chapter (Anuvaka) of Sri Rudram is a set of prayers to the Lord to give up anger roused against those who transgress the divine commandments. The second to the ninth chapters contain the prostrations to His omnipotence, and to His indwelling the hearts of all souls. The tenth chapter celebrates the munificence of the Lord and prays for prosperity and warding off of evil. In the last and eleventh chapter we get the thanksgiving to the Lord's attendants, the Ganas. These eleven chapters are popularly known as Namaka, because most of the verses carry the refrain 'Namaha' (or Namo Namah). The next eleven chapters are known as 'Chamaka' because the refrain here is Cha me.' 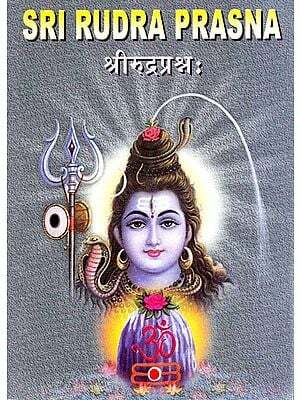 The Namaka and Chamaka together go by the name of Rudradhaya. Though the text of Rudram occurs in the Karma Kanda of the Veda its use transcends the performance of rituals. It is a great help in mental adoration (upasana). Above all it is an Upanishad, each Mantra replete with deep spiritual significance. Swami Amritananda has pressed into service the commentaries of Sayana, Bhatta Bhaskara, Vishnu Suri Abhinava Sankara, Skanda and Ahobala to bring out vedantic treasures encapsulated in these Mantras. 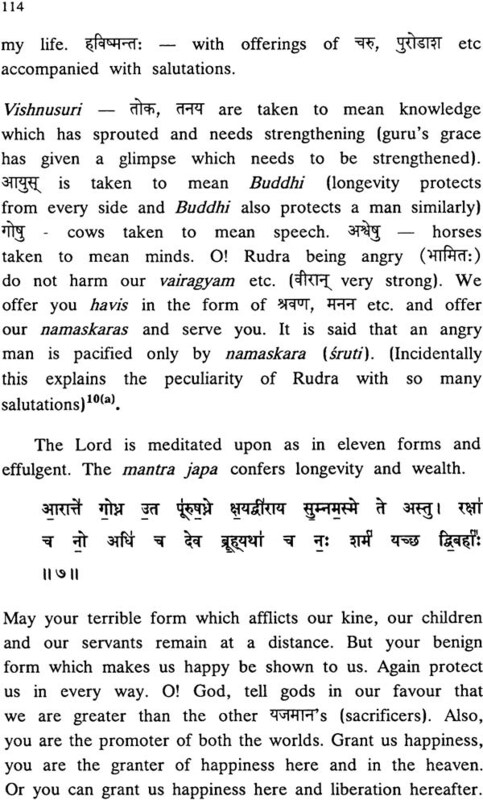 There is a time Honoured tradition that Namaka and Chamaka should be chanted daily along with Purusha Suktam. Indeed Purusha Suktam pervades the Vedas extensively. 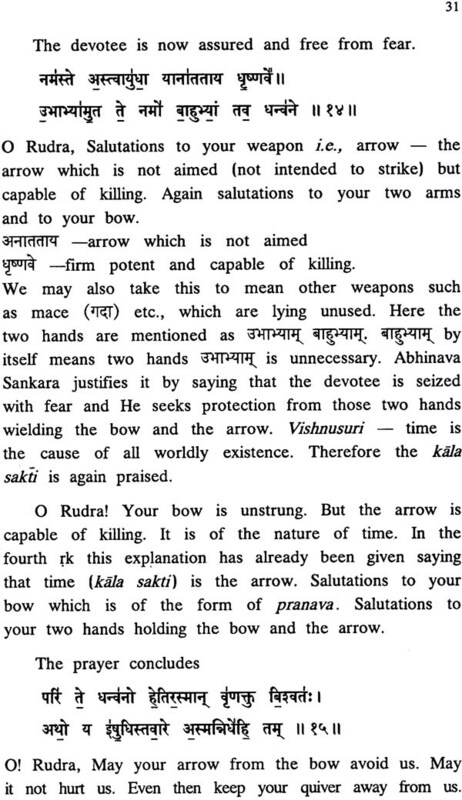 An integral Arayaka, the Vajasaneyi Sanguta, Sama Veda Samhita and Atharva Veda Samhita. Quotes from it are to be found in Satapatha Brahmana, Svetasvatara Upanishad and Mudgalopanishad. This Sukta finds a place even today in the worship of a deity, in a temple or at home, in the daily parayana, in establishing the sacred fire for a Vedic ritual, in various ritual, in various rituals and even in the cremation of a dead body. There is time honoured tradition that Namaka and Chamaka should be chanted daily along with Purusha Suktam. 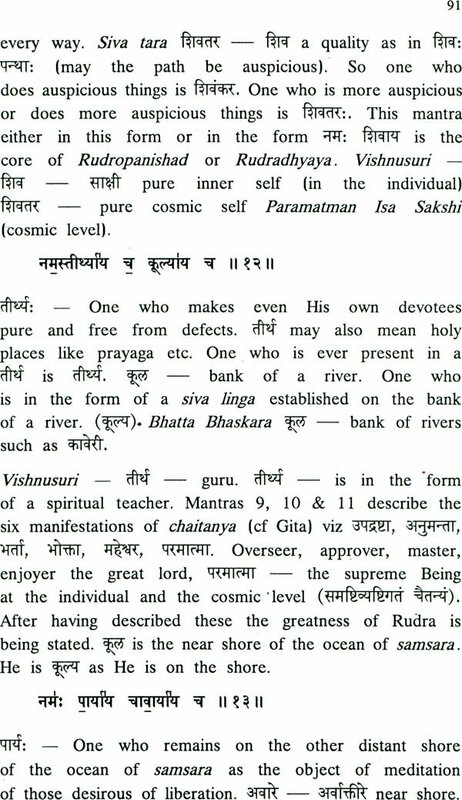 Indeed Purusha Suktam pervades the Vedas extensively. An integral part of Rig Veda Samhita, it also appears in the Taittiriya Aranyaka, the Vajasaneyi Samhita, sama Veda Samhita and Atharva Veda Samhita. Quotes from it are to be found in Satapatha Brahmana, Svetasvatara Upanishad and Mudgalopanishad. This Sukta finds a place even today in the worship of a deity, in a temple or at home, in the daily parayana, in establishing the sacred fire for a Vedic ritual, in various rituals and even in the cremation of a dead body. Purusha of the Purusha Suktam is the manifested state of the unmanifested Brahman. Possessed of all heads, eyes and feet in his Creation he has enveloped this universe completely and has also transcended it. He dwells in every being by a fraction of his self yet his major part is beyond the universe. Being the only Reality he manifests himself as Virat, the totality of all objects, in their seed form. Then he enters into it and brings out the devas or bright ones. The devas, in turn, create the world employing the Purusha himself as the sacrificial animal (Pasu). We are given a poetic description of the various mental materials and types of animals, we see today in the world. The stress is on yajna, selfless discharge of duty, which leads to participation in the cosmic good. Realizing the Purusha one attains not only material prosperity but also immortality. Chanting this triad, the Namaka, Chamaka and purusha Sukta with full knowledge of their meaning can be a smooth way to unbounded felicity and peace. The author deserves way to unbounded felicity and peace. The author deserves our deep gratitude for opening up this path to spirituality.